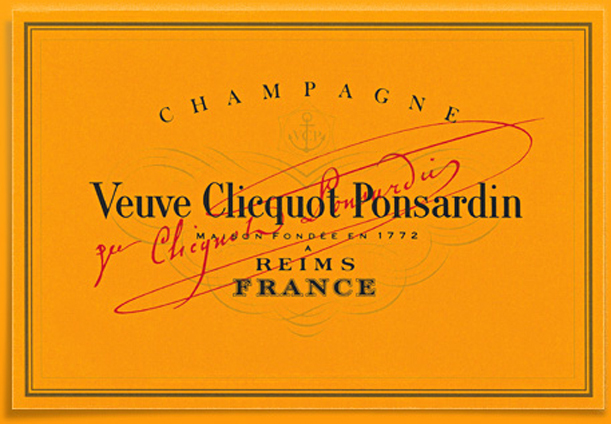 In 1772, Philippe Clicquot-Muiron established a Champagne house in Reims. His son François inherited the business, married Barbe-Nicole Ponsardin in 1778, and died suddenly in 1805. She took over the enterprise and became known as the veuve, or widow, Clicquot. 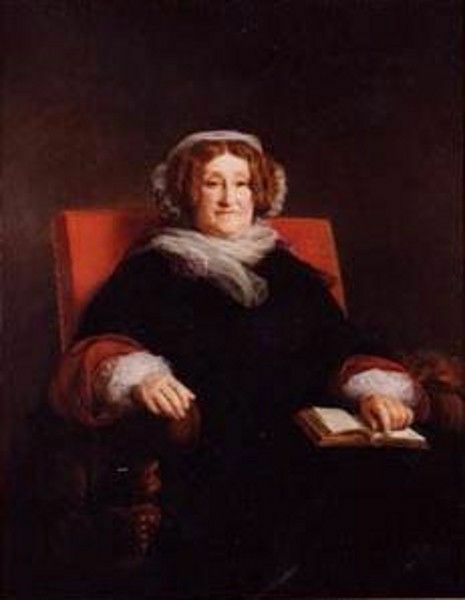 She managed the operation until her death in 1866, and today the house is known as Veuve Clicquot Ponsardin. It’s fair to say that the widow Clicquot invented modern Champagne as we know it. Her most important contribution was the invention of riddling. This process takes the dead yeast cells that form during the second fermentation in bottle, collects them near the neck, and allows them to be expelled so the Champagne may be topped up with sugar. Under her direction, the house became famous and stylish in markets around the world. 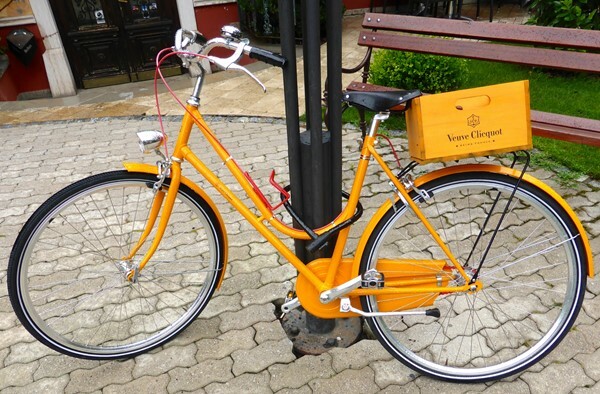 Since 1987, Veuve Clicquot has been owned by the luxury conglomerate LVMH (Louis Vuitton Moët Hennessy). It is an enormous enterprise---no one knows exactly how large it is, since the house doesn’t release production figures. The workhorse of the brand is the non-vintage Brut, usually referred to as the Yellow Label. Since virtually every wine shop, warehouse store and supermarket on the planet seems to carry it, we can assume that hundreds of thousands of cases are available for sale at any given time. There has always been a significant gap in quality between Yellow Label and the vintage releases, not to mention the luxury cuvée La Grande Dame. The gulf seems even wider now, as the current vintages are an interesting and distinctive group of wines. Given that the average national retail for Yellow Label is $55 (although you can do better if you shop around) and the 2008 Brut only sells for $15 more, the average consumer would be wise to loosen up and splurge a bit. The nose of the 2008 Brut ($70) is pleasant and yeasty, with aromas of citrus and apple. The wine is fresh and clean on entry, and an overload of green apple flavors predominate in the mouth. The acidity is vibrant, and the wine has great persistence through the mid palate and onto the finish, which is long and mouthwatering. By contrast, the 2008 Rosé ($85) has a recessed and earthy nose with hints of red fruits beneath the underbrush. It explodes in the mouth with a profusion of red berry flavors, displaying richness and amplitude. Those berries linger on the finish with a hint of forest undergrowth. This is an intriguing style---not squeaky clean, by any means---and cries out for salmon, lamb or wild game. The inaccessible nose of the 2006 La Grande Dame ($145) gives up faint hints of Meyer Lemon and mint with coaxing. In the mouth, the flavors sneak up on you: citrus, preserved lemon, candied zest, deep and intriguing. Those flavors linger for nearly a full minute, intensifying and building. Once again, an unusual and arresting style. La Grande Dame Rosé 2006 ($290) has a similar nose to the 2008 Rosé but more intense: fundamental and profound, with a faint essence of black cherry. It’s quite earthy on entry as well, followed by a reduction of sweet red berries. There’s a fascinating contrast between the richness of the fruit and the earthiness of the wine. The finish is a bit short, but rich and tart. Extra Brut Extra Old ($80) is a cellar blend of reserve wines from 1988 to 2010, with no more than three grams per liter of dosage. The nose is forward and yeasty. 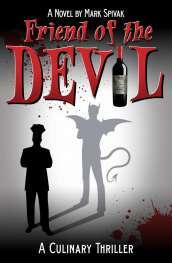 The wine is rich and full in the mouth, with a deep well of citrus and fresh herb flavors exploding onto the mid palate. Very poised and fresh, despite all the richness, with a long and clean finish. A distinctive Champagne, and a bargain at the price.